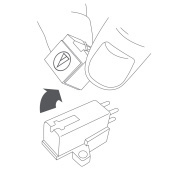 To remove old stylus (needle), hold the cartridge in one hand, grasp the plastic stylus housing with thumb and forefinger, and pull away from the cartridge. 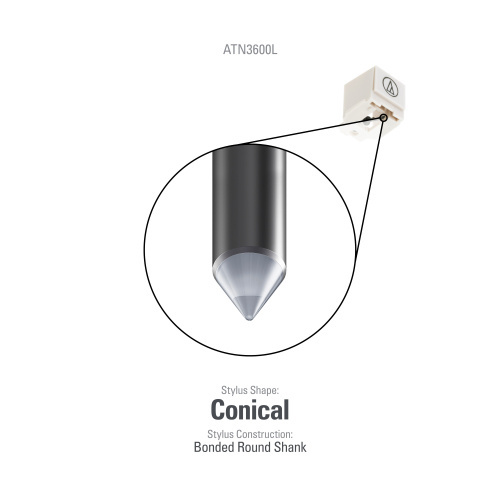 The stylus assembly comes away at a slight angle, as indicated by the arrow. 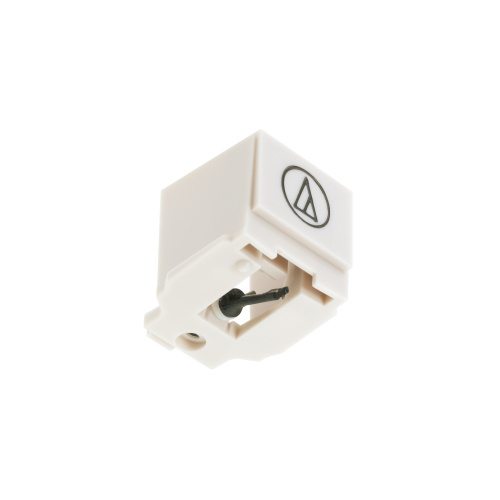 To install replacement stylus, insert the new stylus assembly into the cartridge at a slight angle, so the hook at the end of the stylus fits into the slot in the cartridge body. 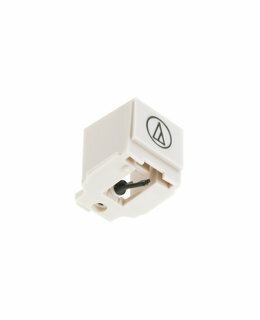 The stylus assembly should click into place when fully seated on the cartridge. The stylus must be fully seated on the body for proper operation.